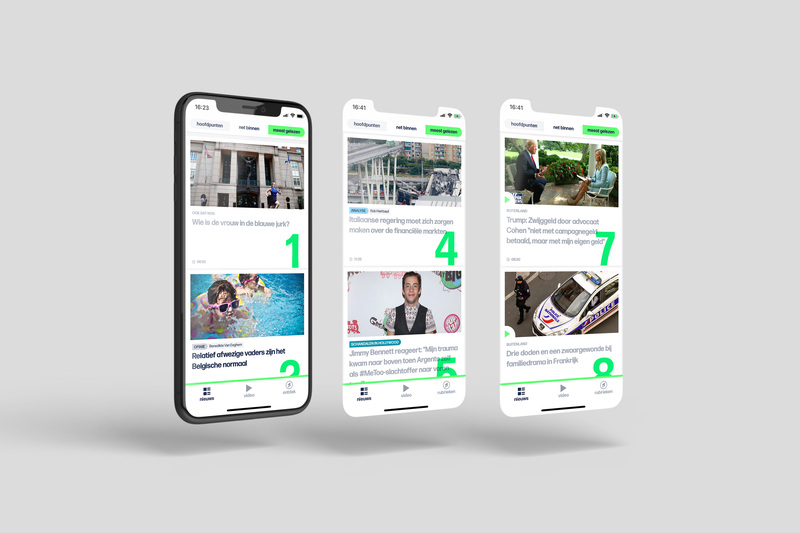 In 2017 the Belgian Dutch-language public broadcaster VRT redesigned it's corporate branding and decided to launch a new brand for their news department: VRT NWS. 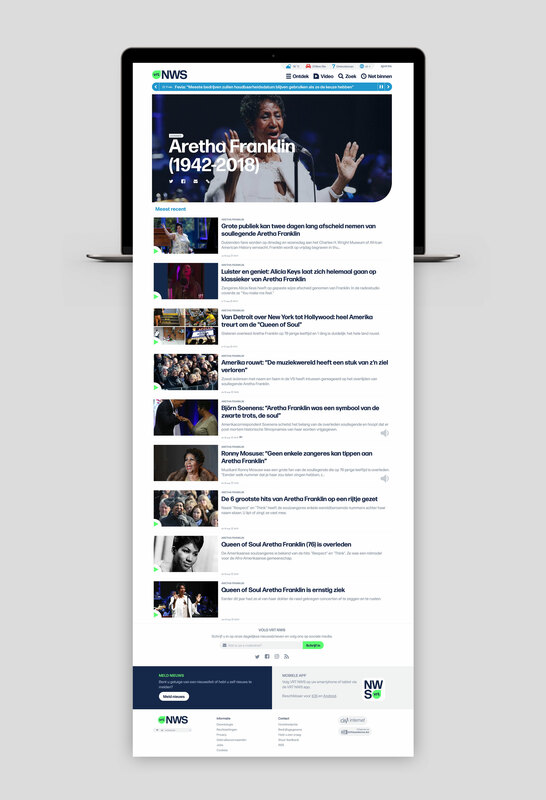 This consisted of a new website, new app, new logo and a new name. 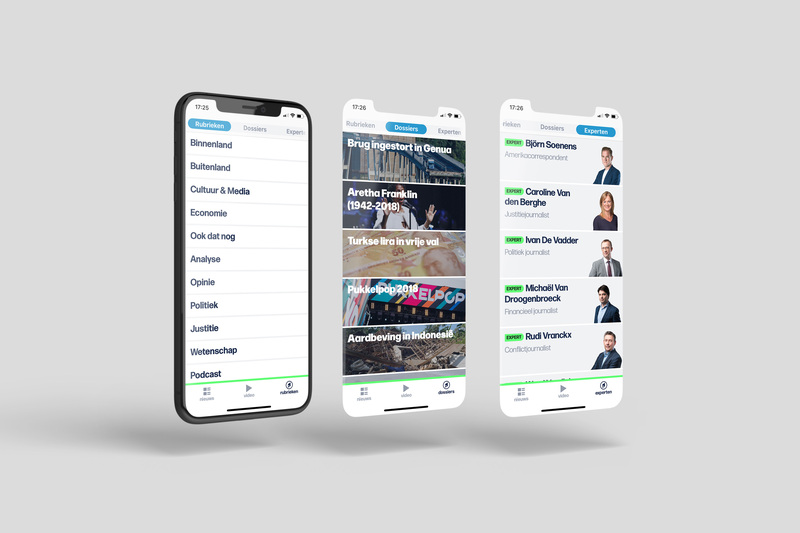 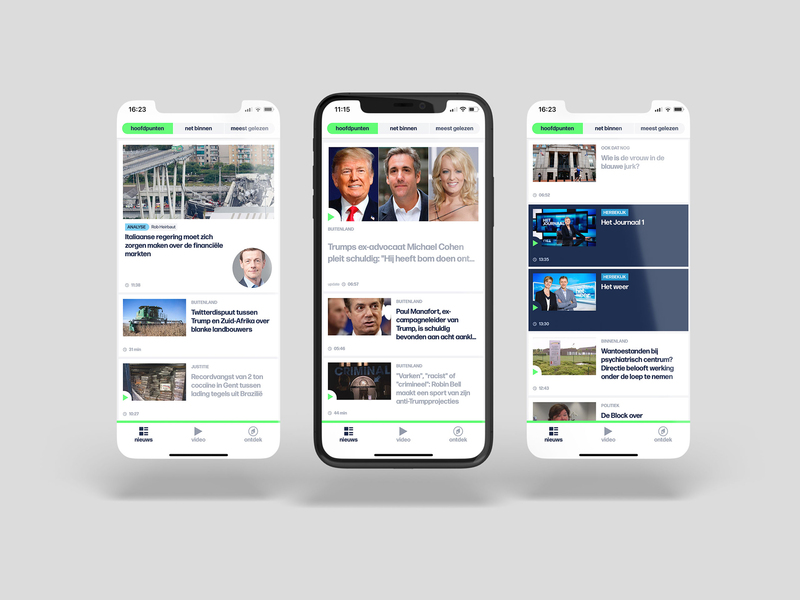 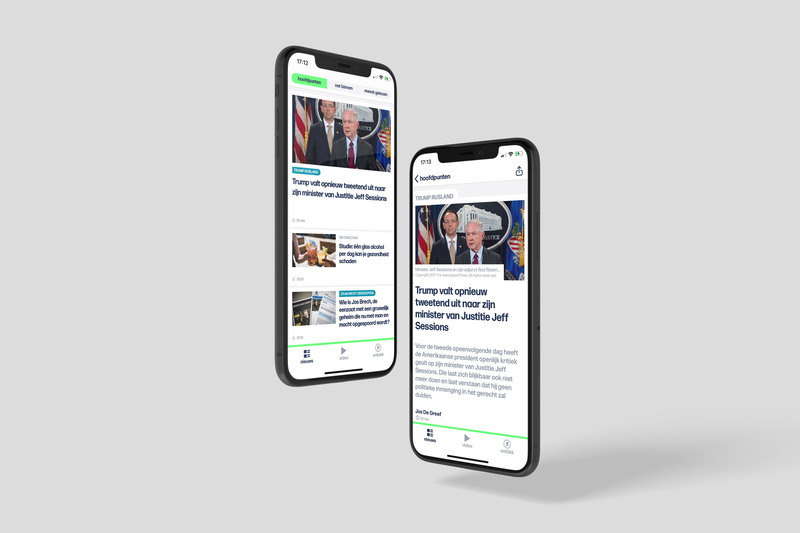 As freelance UI designer my role in this project was to focus on information hierarchy and architecture and translate the new branding –designed by Today Agency– to the redesign of the app and website.